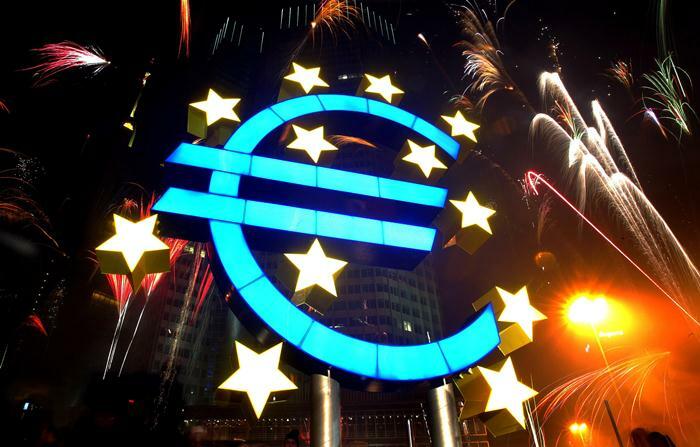 Fireworks illuminate the sky around a huge euro sculpture, designed by German artist Ottmar Hoerl, in front of the headquarters of the European Central Bank (ECB) in Frankfurt, January 1, 2002. “EuroTragedy: A Drama in Nine Acts” by Ashoka Mody was published June 1 in the United States by Oxford University Press. The UK edition will be published July 26.